If you need garage door installation services for your home in Huntsville, Alabama, you can trust the professionals at 31-W Insulation to install a new door that will stand the test of time and help improve curb appeal. We’re the home improvement experts that homeowners throughout the Southeast have turned to since 1972 for top-notch renovation and installation services, and our highly trained installers, who are our own employees and not subcontractors, proudly uphold our high standards of customer service. We even hold an A+ rating with the Better Business Bureau for our commitment to providing the most courteous service and the most outstanding workmanship possible. Additionally, you can customize your new garage door even further with a broad spectrum of color options and decorative hardware additions. If you choose to add windows to your door, you’ll also be able to pick from a variety of grid patterns and other window options, as well. 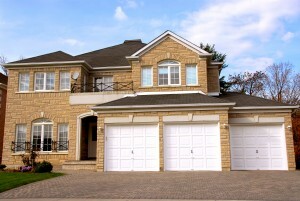 To find out more about our garage door installation services available in Huntsville, AL, contact 31-W Insulation today.